This is a very good deal. It’s pretty unique to see Groupon or any of the daily deals sites to offer an incredible 50% off discount to a popular international corporation. They tend to promote small to medium sized local businesses. I’m not complaining though. Too bad there’s a limit of only 1 person or else I would have bought more. Limit 1/person. Valid in-store at US and Canada Gap stores only. Not valid @ Gap Outlet, Factory, Generation, online. Not valid for GiftCards, tax, or w/other offers. $50 minimum purchase. Attack the shelves with today’s Groupon: for $25, you get $50 worth of apparel and accessories, including sale items, purchased in-store at Gap, which has hundreds of locations nationwide. Today’s Groupon is not valid for online or previous purchases, or at Gap Outlet, Gap Factory, or Gap Generation stores. Get a La Senza Mystery Savings card with any minimum $10 purchase between August 16th – September 5, 2010. The Mystery Savings card can be worth $10, $50, $100 or $500 on your next purchase when you spend a minimum $25 between September 6 – September 26, 2010. You discouver the value of the mystery card when you redeem and shop between Sept. 6- Sept 26. One card per customer, per transaction. Click here for more information about this promotion. I know this isn’t a deal, but I was very excited to find out that EA Sports released the NHL 11 Demo yesterday. You can download the demo on Xbox Live or on the Playstation 3 Network. If you don’t see in in the new release section, just search for “NHL” and it should come up. I love this game so much that I’m still playing NHL 10 on a regular basis. I downloaded the demo and couldn’t stop playing it. There’s a ton of new features that I’m very excited about. The full retail version will be available on September 7, 2010. I can’t wait! Are you looking forward to this game as well? Which NHL team do you cheer for? This is a 1-day sale and expires tonight Thursday, August 19, 2010. “My ideal day includes spending it with our dogs,” says Amanda, owner. As devoted pet owners, we know what it’s like to want to spoil your silly, goofy, love-you-for-you little fur-kids. We know that odd little rush of “oh my gosh, that’s so cute!” and “they need THAT!” As such, we are always looking for unique items of the highest quality. 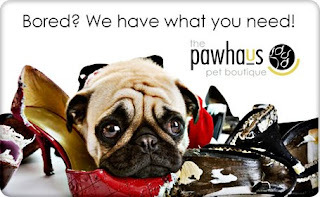 The Pawhaus Pet Boutique is a collection of our finds. Click here to buy this deal. This is a 1-day sale and there’s a limit of 3 per person. I haven’t been to this place before so I’ll be buying a voucher. I enjoy finding and trying out new restaurants around town. The pictures look very nice. Limit 3 per person. Reservation required. Limit 1 per table of 2, 2 per table of 4, 3 per table of 6 or more. Not valid with other offers. Tax and gratuity not included. The Great Wall of China was constructed to keep roving packs of ancient pandas from absconding with the local cuisine. Succeed where the bears failed with today’s deal: for $15, you get $30 worth of modern Chinese cuisine and drinks at Wild Rice, recently named an honourable mention on Vancouver magazine’s Best Other Asian 2009 list. 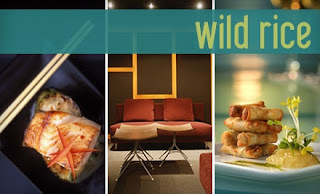 Wild Rice serves up a fresh menu of contemporary Chinese fare, and the locally sourced and sustainably created dishes are served family style. Like a procession of curious and timid puppies, each dish arrives at the table when it is ready, further lubricating watering mouths with suspense and anticipation. This deal is good at all Sportschek stores across Canada. Spend a $100 or more in-store or online and you’ll get a $20 gift card on your next purchase until October 31, 2010. In-store cards are given at purchase while online codes will be sent within 72 hours via email. The deal goes from August 18 – August 31st. Theres a large selection of items on sale right now so it shouldn’t be too difficult to spend a $100 at Sportschek. They currently have a buy one, get one 50% off deal on select items. 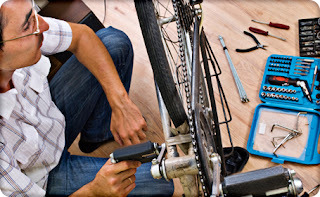 $17 for Professional Bike Tune Up at Bazooka Sports ($35 Value). StealtheDeal: $17 for Professional Bike Tune Up at Bazooka Sports ($35 Value). Use your bike this summer! This is a 1-day sale. The deal will expire midnight tonight (Wednesday, August 18, 2010). 1 Complete bike tune up from the best shop in the city! Very good deal for high-quality work, we provide REAL care for your bike! Bazooka folding bikes are as versatile as you. Bazooka has engineered the riding performance of non-folding bicycles into the convenience and portability of its folding bikes. Compact, portable and lightweight, These folding bikes can go anywhere you go with no hassle or extra work. Bazooka folding bikes are so compact in size that you can stash 2 of them in trunk of your car. Take them to any of the mountains!